Quit being a bunch of losers. We’re the friggin Lakers! Certainly if Zo isn't coming back, I would shut down Bron. The Clippers are trying to tank so I don't think there'd be any point tanking? let the Clippers tank with us. We have tougher strength of schedule going forward and are ahead of them in the tank race so they wont pass us up if we shut down Lebron and Ball. This also helps screw the Celtics (along with their trade offer to the Pelicans) as it keeps the Kings draft pick out of the lottery. We traded DLO for nothing. well lets think about it this way... say we kept him... he is looking for his big paycheck this summer. There are better players to be had with our cap room over resigning DLO. And I was one of the biggest haters of that DLO salary dump package. That is true. Magic made it seem like we had to move him right then, to get rid of moz's contract, but that's not true. Then people try justify it also by saying we got Kuz because of the trade, but that's not true as well. We may have not Josh Hart, but Kuz been on our radar and wasn't on the nets radar. 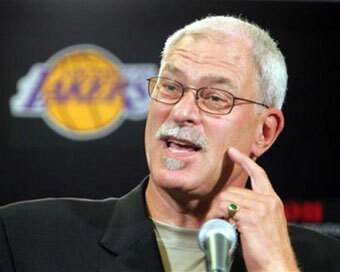 The Lakers are not tanking, why would they be trading for shooters and help for LBJ. No way Magic is going to tank, those days are over so close this thing. Only if they sign here. And considering I want a talented player to grow with our core players, the option isn't many. I think tanking is the best option for the Lakers this season. There was hope in the developing the young guys under a good team, but it's now clear that a playoff run would be the result of LeBron carrying them there. The high pick would instantly become the Lakers' best asset. If the draft is good and the correct selection is made, the pick could also be the 2nd best player on the Lakers next season. With no AD trade, our first round pick is getting more interesting! And here we are in 2019 tank thread. Got some Billy Kings over here who thought Okafor was the real deal. I'm all in with tanking at this point, maybe we get a lucky bounce like Cleveland did and get #1??? Like I said earlier, I like our chances with the lotto balls much better than our chances in the playoffs. Playing for a 7th or 8th seed is just lame imo. Hahaha this thread still exists? tanking is not about scouting a solid non-lottery prospect which I have increasing faith each year our FO can do... its about increasing the value of that pick to package up and trade for AD or any other player that helps elevate our 2020 championship goal. also do people not realize that the two teams ahead of us in playoff race (Kings and Clippers) both owe their picks to the Celtics? We have the worst fans so we better get used to it.